Matt Marton - For Shaw Media Cary-Grove's Quinn Presiter (12) runs for a touchdown against Chicago (St. Ignatius) in a first-round Class 6A football playoff game. 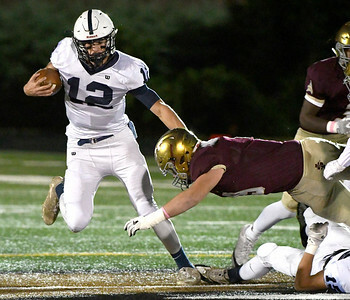 Friday, Oct. 27, 2017, in Chicago, Ill.
Matt Marton - For Shaw Media Cary-Grove's Quinn Presiter (12) runs against Chicago (St. Ignatius) Giorgi Arquilla (9) in a first-round Class 6A football playoff game. 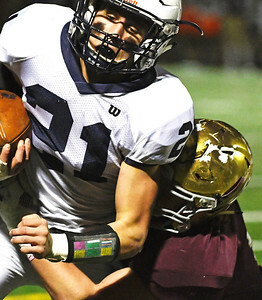 Friday, Oct. 27, 2017, in Chicago, Ill.
Matt Marton - For Shaw Media Cary-Grove's Quinn Presiter (12) hugs Max Skol (31) after he ran for a touchdown against Chicago (St. Ignatius) in a first-round Class 6A football playoff game. 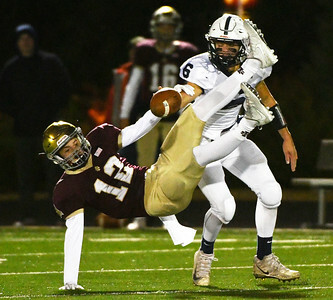 Friday, Oct. 27, 2017, in Chicago, Ill.
Matt Marton - For Shaw Media Cary-Grove's Danny Daigl (21) runs for an two point conversion against Chicago (St. Ignatius) Giorgi Arquilla (9) in a first-round Class 6A football playoff game. 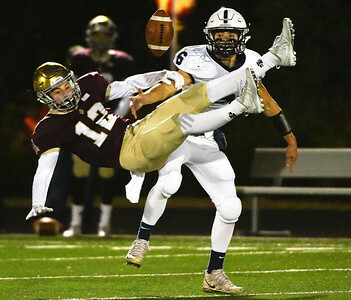 Friday, Oct. 27, 2017, in Chicago, Ill.
Matt Marton - For Shaw Media Cary-Grove's Benjamin Ferrell (6) breaks u a pass intended for Chicago (St. Ignatius) Aiden Ouimet (12) in a first-round Class 6A football playoff game. 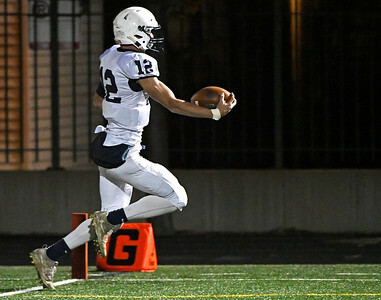 Friday, Oct. 27, 2017, in Chicago, Ill.
Cary-Grove's Quinn Presiter (12) runs for a touchdown against Chicago (St. Ignatius) in a first-round Class 6A football playoff game. Friday, Oct. 27, 2017, in Chicago, Ill.